As a teenager Nadia Boudesoque became a model for a fashion house in Paris. She later met Mexican colonel Antonio Haro (Oliva), who was stationed in Paris, and they married, with Boudesoque returning to Mexico. She continued to fence for sport, but after the 1948 London Olympics, where she represented Mexico, Boudesoque became an actress. 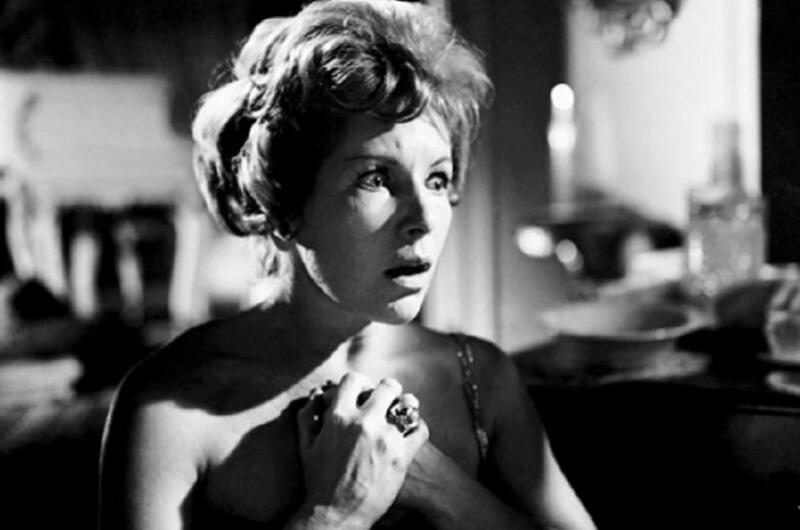 She acted under the name Nadia Haro Oliva, appearing in multiple films in Mexico in the 1950s and 60s, notably “Misterios de la magia negra” (1957) and “El ángel exterminador” (1962). In the 1970s and 80s she turned more to acting on stage and television. She and her husband also owned and operated the Teatro Arlequín. Nadia Haro Oliva retired from acting after suffering a fall in 2004. Olympians are people who have achieved success in their sports at the highest level. Such success often translates to other fields, and it is no surprise that numerous Olympians have succeeded outside of sports. With the name recognition that comes from their sports prowess, it is also no surprise that many Olympians have moved into politics. Many of them have served in their national legislatures. This is a fairly difficult list to track but following is what we consider a fairly complete list. But we’ll accept additions to this list from anybody who has further information. William; Lord Desborough GBR FEN 1906 Member of the UK House of Commons 1880-1882; 1885-1886; 1892-1893 and 1900-05 (Liberal 1880-1893 Conservative 1900-05). Member of the UK House of Lords 1905-45. Han Pil-Hwa PRK SSK 1964-72 Member of North-Korean Choego Inmin Hoe-ui from 1998 through ? Vladimir Parfenovich URS CAN 1980 Member of Belarussian Palata Pradstawnikow from 2000 through ? Gustav-Adolf Schur GER CYC 1956-60 Member of East German Volkskammer 1958 through 1990 (FDJ; SED; PDS). Member of German Bundestag from 1998 through 2002 (PDS). James Snook, twice a shooting gold medalist at the 1920 Olympics, made national headlines in 1929 and 1930, but not for anything to do with his shooting ability. 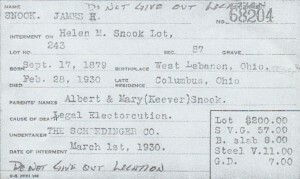 Snook was a 1908 graduate of the Ohio State Veterinary School and in 1920 was a professor of veterinary medicine at Ohio State. 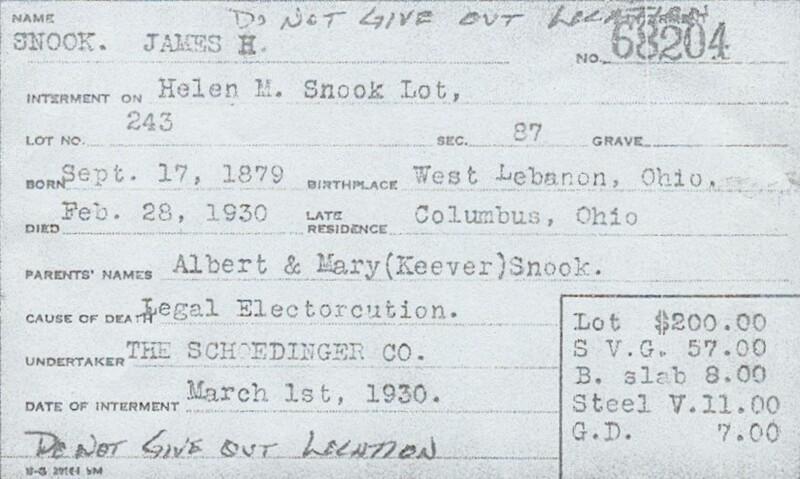 In June 1929 he was practicing at the Ohio State rifle range when he was arrested and accused of the murder of Theora K. Hix, a medical student at Ohio State. It turned out that Snook and Hix had posed as man and wife for three years, sharing an apartment near the school’s campus. 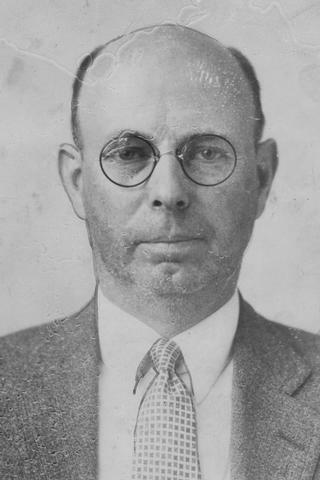 On 13 June 1929, Snook claimed that Hix asked him to divorce his wife and marry her, threatening to kill his wife and child if she was refused. Snook confessed to then beating Hix several times with a hammer before severing her jugular vein with a pocket-knife to “relieve her suffering.” On 14 August 1929 a jury deliberated only 28 minutes before finding Snook guilty of first degree murder. A week later he was sentenced to be put to death, and at 7:10 p.m. on 28 February 1930, he died in the electric chair at the Ohio State Penitentiary. Taro Aso JPN SHO 1976 Prime Minister of Japan 2008-09. Juan Carlos Crown Prince de Borbón ESP SAI 1972 King of Spain 1975-present. Albert Prince Grimaldi MON BOB 1988-2002 Prince of Monaco 2005-present. Crown Prince Harald NOR SAI 1964-72 King of Norway 1991-present. Crown Prince Konstantinos GRE SAI 1960 King of Greece 1964-73. Crown Prince Olav NOR SAI 1928 King of Norway 1957-91. Pál Schmitt HUN FEN 1968-76 President of Hungary 2010-12. Marcus Stephen NRU/SAM WLT 1992-2000 President of Nauru 2007-11. 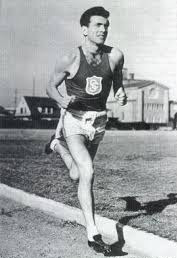 Recently I posted about the United States’ dominance of the all-time Olympic medal lists (hey, I’m a Merkan – give me a break). But there are some things that can be analyzed a bit more closely. Secondly, the United States is a wealthy country, with the world’s largest gross domestic product (GDP). Again, a country with great wealth has several advantages in terms of producing great athletes and Olympic medalists. Not only is there more money to support the athletes, theoretically, but people from wealthy nations typically have more leisure time allowing them to train more for sports. So let’s look at the Olympic medal lists in a couple different ways. Remember that North America and Europe/International analyze medal lists differently – in North America the nations are ranked by 1) medals, 2) gold, 3) silver, and 4) bronze; while in Europe they are ranked by 1) gold, 2) silver, and 3) bronze. So we’ll compare lists both by total medals won and gold medals won (we can’t use silver and bronze well in the analysis that will follow). Second, a caveat is in order. We are going to eliminate any nations that no longer exists – you’ll see why soon. We will then look at medals won in terms of 1) medals won per capita, or divided by the nation’s population, to eliminate the advantage gained by larger nations; 2) medals won per GDP, to eliminate the advantage gained by wealthier nations; and 3) medals won per GDP per capita, which is probably a better way to measure a nation’s wealth. One thing of note above – the top nations are predominately winter sports nations. Liechtenstein, in particular, owes all of its medals to two winter sports families – the Wenzels and the Frommelts. Also, if you look at the two lists above, they are quite similar when using both ranking systems. Again, the lists are similar, although Jamaica leads in terms of medals won per capita while Hungary leads in terms of gold medals won per capita. But Jamaica, Bulgaria, Cuba, and Hungary are in the top 5 on both systems. Again, many of the “standard” powerful Olympic nations come out on top by this analysis – with China 1st and the United States 2nd. The main reason for this is that while population and GDP differ by several magnitudes among nations, there is not the same magnitude of difference in terms of GDP per capita, which varies from $102,100 per person for Qatar, down to about $1,000 for the very poor nations. But many of those nations have never won an Olympic medal. Olympic cycling is popular but the greatest race in cycling is considered to be the Tour de France, held every July over 3 weeks, and being held at the moment. A number of top cyclists competed in both the Olympics and Tour de France in the amateur era (1896-1992), and now that professional cyclists are allowed in the Olympics, many of them also compete in the Tour. Until 1996, among the top professional cyclists who have starred in the Tour de France, only a few had Olympic experience. Three-time winner Philippe Thys (BEL-1913/14/20) never competed in the Olympics, nor did Fausto Coppi (ITA-1949/52), Louison Bobet (FRA-1953/54/55), nor Bernard Hinault (FRA-1978/79/81/82/85). The first Olympic medalist to win the Tour was Octave Lapize, who won a bronze medal in the 1908 Olympics 100 km race, and then won the 1910 Tour. Lapize is best known from comments he made in the 1910 Tour. While ascending the Col du Tourmalet, one of the first epic climbs included in the race, he shouted at race organizers, “Vous êtes des assassins! Oui, des assassins!” That stage was over 300 km with 7 difficult climbs, all raced in a single fixed-gear. Lapize was later killed in World War I.
Eddy Merckx (BEL-1969/70/71/72/74), usually considered the greatest cyclist ever, did compete in the 1964 Olympics in the individual road race, finishing 12th, which was won by Italian Mario Zanin. His son, Axel, later competed in the 2000 and 2004 road race, winning an Olympic bronze medal in 2004, but he never featured at the Tour. Jacques Anquetil (FRA-1957/61/62/63/64), whose record of five wins was later equalled by Merckx, Hinault, and Miguel Induráin (and initially bettered by Lance Armstrong), competed in the 1952 Olympic individual road race, oddly also finishing 12th. But Anquetil did win an Olympic medal, having been a member of the French team in the road race, which finished third in the overall team event. The first Olympic gold medalist to have also won the Tour de France is Joop Zoetemelk (NED). Zoetemelk won his gold medal in the 1968 104 kilometre team time trial as a member of the Dutch team. At 34 years of age, he won his Tour de France in 1980 and, amazingly, in 1985, aged 39 years, he won the world professional road race championship, the oldest ever to achieve that feat. The feat of winning the Olympic individual road race and the world professional road race was first achieved by Hennie Kuiper (NED), who won his Olympic gold in 1972 and took the world professional title in 1975. Kuiper also finished second in the Tour de France twice. This was later done by Italian Paolo Bettini, who won gold in the 2004 Olympic road race and won the World Road Race Championship in 2006-07. Greg LeMond (USA-1986/89/90), the first American to win the Tour de France and the world professional road race championship (1983/89), qualified for the United States Olympic team in 1980, but as a member of that ill-fated 1980 team, did not compete in the Olympics. Based on his performance at the 1979 World Amateur Championships, winning 3 medals, including the U23 road race gold medal, he was expected to be co-favorite in the road race with Soviet rider Sergey Sukhoruchenkov, but in LeMond’s absence, Sukhoruchenkov won the gold medal. Jacques Anquetil FRA 1952 Team RR (B) 1957/1961-64. The United States has also competed at every Olympic Games except for, sadly, the 1980 Olympics in Moscow. During that time, the USA has dominated the medal lists and the medal standings more than any other nation, mainly at the Summer Olympics. There have been pretenders to attempt to usurp that dominance – the USSR from 1952-88, the GDR from 1972-88, and now China threatens to lead the medal standings. But overall, from 1896-2014, Summer alone, Summer and Winter, men, women, it matters not. The USA has been the dominant nation at the Olympic Games in terms of medals won. So skipping the Soviet Union, which no longer exists, the USA has won more gold medals than the next 4 best nations that are still extant, and more medals than the next 3 best nations, however you rank them. Just looking at the Summer Olympics, that dominance becomes even more impressive. Again, skipping the USSR, the United States has won more gold medals than the next best 4 nations, and more medals than the next best 3 nations. Including the Soviet Union, the USA has won more gold medals and medals than the next best 3 nations at the Summer Olympics. The male dominance for the USA is as complete, with more gold medals than the next 4 remaining nations, and more medals than the 3 next nations still extant. The female dominance is less so, as the Soviet Union and German Democratic Republic (GDR – East Germany) emphasized women’s medals during their existence. And it is even less dramatic for mixed events, where it is approached by several other nations, but the USA still leads the mixed medal lists, both in terms of medals won and gold medals won. So of the above 32 leaders (by either system), the USA has been the leading nation at the Summer Olympics 17 times, or more than all other nations combined. However, if one looks at 1956-88, you can see that the Soviet Union was quite dominant in that era. What if they had competed before 1952 or since 1988? One can argue that Russia, China, and Germany have not existed for as long as the United States, in Olympic terms. So let’s compare numbers against Pan-Soviet (USSR 1952-88 and all former Soviet republics prior to 1952 and since 1992) and Pan-Germania (Germany, East and West Germany) (Note: The Saar also competed in 1952 but did not win any medals.). We really can’t do the same for China. And this tabulation will give an advantage to Pan-Soviet counts, because since 1992 they can have far more than 3 competitors, or 1 team, in an event. The same was true for East and West Germany from 1968-88. So even with the advantage Pan-Soviet and Pan-Germania get from extra competitors and teams, the USA still leads the medal lists comfortably. Of course, Pan-Soviet had only a few competitors from 1912-36 – Russia in 1912 and the Baltics from 1924-36 – but given how much fewer events there were in that era, the USA would still lead the lists. Richard Schoemaker studied at the Royal Netherlands Military Academy, beginning there as a cadet in 1905. In the year he graduated he competed at the Olympic Games in London. Schoemaker then left for the Dutch East Indies as a second lieutenant, being promoted to captain 1915. 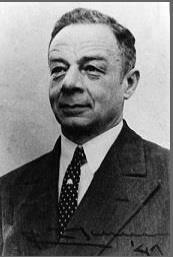 He left the Army just after World War I, and became a professor of constructional engineering at the Technical Academy in Bandoeng, before returning to the Netherlands where he served as a professor of architecture on the faculty of bouwkunde (architecture/structural engineering) at the Technical University in Delft. He continued as a reserve major in the Army and over the next 20 years helped design and construct several Army barracks. Schoemaker’s brother, Wolff, was a noted Dutch architect often called the Frank Lloyd Wright of Indonesia. At the start of World War II Schoemaker was called to serve with the Technical Corps of Engineering but was not involved in combat. After the Dutch Army surrendered to the Germans he joined the Dutch Underground, later becoming part of the Ordedienst (OD), a fusion of several underground groups. On 2 May 1941 Schoemaker was arrested after being found to be a member of the OD. He and several other OD members were kept in the state prison in Scheveningen, later called the Oranjehotel. In March-April 1942 Schoemaker and many of his compatriots were tried in Amersfoort, and all were found guilty, with the sentence being death. On 1 May 1942 the convicted OD members, among whom was included Pierre Versteegh, a Dutch equestrian Olympian, were taken by train to Oranienburg, near Berlin, and then transported by truck to the Sachsenhausen Concentration Camp. On 3 May 1942 all of the convicts were executed by firing squad, in groups of 12 each. Richard Schoemaker was among them. On 3 May 1946 a monument was erected in the Netherlands in the group’s honor. Schoemaker posthumously was given the Resistance Cross for his efforts.